The process is executed in seven steps. These steps allow the client a personal transformation where deeply rooted patterns and ways of thinking are eliminated in a simple and gentle way. The Sirius Personal Transformation method starts with the director of the company (the client) and continues with, if necessary, the transformation of subordinate levels within the organisation. 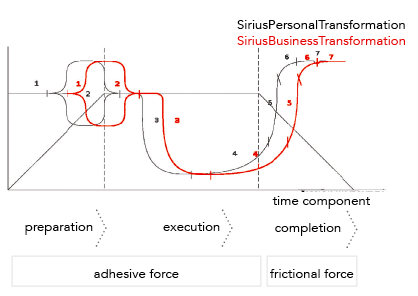 The personal transformation is followed by a business one, the Sirius Business Transformation, which is also in seven phases. The business transformation begins after the completion of the first phase, or is applied concurrently with the second phase of personal transformation. 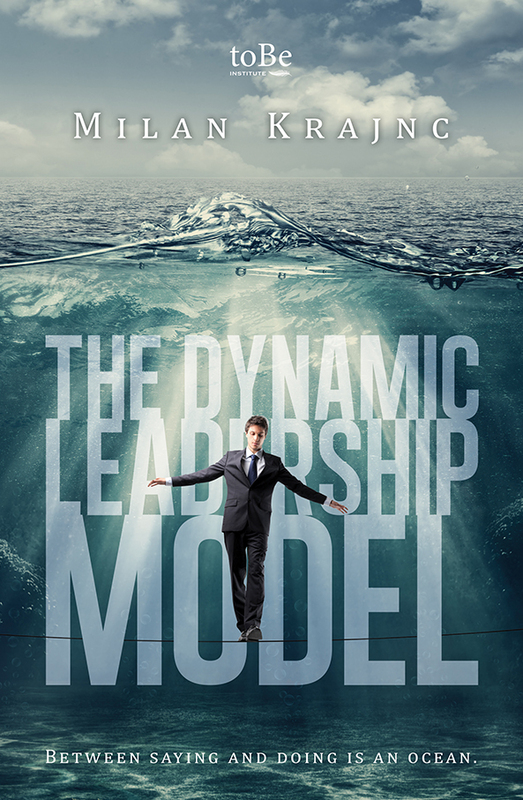 “The Dynamicleadership model” will change your perception. The purpose of this book is to present a model of dynamic leadership which in more than a hundred cases has proven itself to be an excellent method for overcoming both professional and personal crises, as well as for managing challenges so that they do not even get to the crisis stage. ARE YOU READY TO WALK THE PATH OF A WINNER? Sessions with Milan were efficient and real, he provokes you to open up and share information. I am always surprised how quickly he finds the problem you are dealing with, he understands it. A clear conclusion and advice about the solution follow very quickly. Milan is a trustworthy person. In the business world, personal matters are usually separated from business ones. According to my experience with Milan Krajnc, this exceptional man, this is not so. I immediately felt I could trust him. The trust developed into a true friendship. I have noticed that this happens to everyone who works with him or meets him. Milan lives the method he teaches! He uses his strength but with gentleness and sensitivity. He is a real Crisis Captain! I would recommend everyone dare to go on the path of transformation with him. After using this method and working in accordance with the prescribed plan many things changed: my mission in life and the path I am taking have become much clearer. I am now spontaneously focusing on people and things which are truly important for me and at the same time am excluding all the ‘waste’ form my life! I have found my own rhythm and I live with a greater inner peace. He is capable of using and interconnecting his deep intellect with common sense – of which he has no shortage. Thus, he can help you efficiently as coach and mentor. Milan Krajnc made a great impression on me with his intuitive abilities to “read” what is going on with the leader he is coaching. I have observed him at work and saw up close how leaders relax when they feel seen. He is able to give them support to be able to release their blocked energy. He taught me very valuable skills, among others also the Theta Healing method. I was most grateful for all the energy he “sent” me from a distance, it protected me for months from colds I kept having. Milan is a talented man with a big heart. His methods can be of help to many leaders of companies and organisations. Upon meeting Milan, I felt a connection almost immediately, after a few minutes. He soon showed me depths very few other people have managed to show me thus far. Milan has the ability to help you become aware of yourself in a way you are as yet unaware of. And with this awareness we can grow in a way that traditional coaching cannot take us. Working with him long distance suited my busy schedule. I am thankful to him from the bottom of my heart for the great results. Those were three of the most intensive months of my life and business so far.